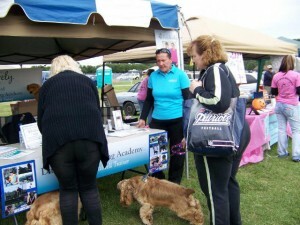 I had a wonderful time at Bark in the Park at Chesapeake City Park in Chesapeake, VA on October 2, 2011. There were so many people and so many great dogs to see. I am fairly certain that every breed was represented!!! The weather was absolutely perfect, not too hot for the dogs, not too cool for the humans, lots of sunshine too! 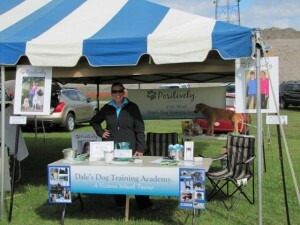 Hundreds of people entered our contest to win FREE dog training. FIRST PRIZE was a free 7 week Basic Obedience Class that was won by Paula Cole. SECOND PRIZE, a free private training session was won by Alex and THIRD PRIZE, a free telephone consultation went to Ann Gordon. Congratulations to the winners, and thank you to everyone who entered. If you haven’t yet claimed your prize, please send an email to me at [email protected]. It was great to see so many present and former students drop by to chat and show off their well-behaved dogs! I met a lot of great new people, including the wonderful folks at K9 Justice who were in the neighboring tent. Portsmouth Humane Society was also there, showing off many of our PACK dogs and advocating for all of our dogs that are looking for homes.